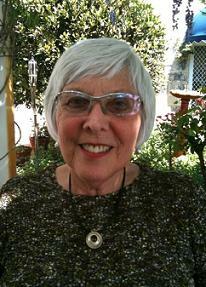 Adjunct Associate Professor Lenore Layman is the Asbestos Network project team’s expert historian. She assisted in the production of audio recordings, as well as writing and validating the historical information, which included establishing the historical timeline for the site. As Adjunct Associate Professor at Murdoch University and an historian with a strong interest in Western Australia, Lenore is also collaborating on Australian Research Council research projects relating to the East Perth Power Station and the electrification of Perth, as well as a history of the goldfields town of Leonora-Gwalia. Her publications include ‘Organise! A visual record of the labour movement in Western Australia’, and ‘Rica’s Stories’, in addition to numerous articles on aspects of Western Australia’s industrial, labour and health history. Lenore is president of the Royal Western Australia Historical Society, a committee member of the Professional Historians Association of Western Australia, and the Society for the Study of Labour History’s Perth Branch.